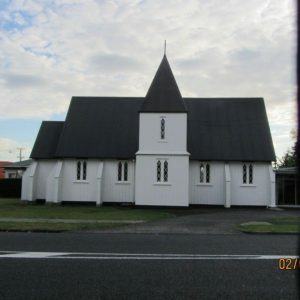 Selwyn Church was originally the 1863 Holy Trinity in Otahuhu. 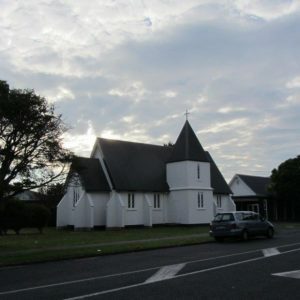 It was relocated to its current site at Mangere East in 1928. The timber church, with its finely balanced proportions and its position on a spacious site generated a sense of ‘peace and comfort’. 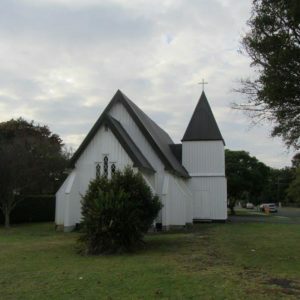 It is a landmark within its local district. Its design, scale and spire, although modified from the original form, are of particular local distinctiveness and value. 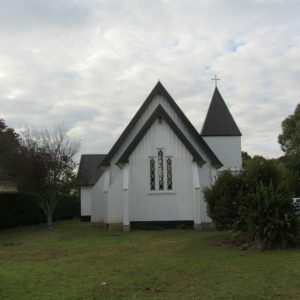 Taking the first step towards the conservation of this place, the Selwyn Church vestry commissioned Archifact-architecture & conservation ltd to conduct a measured survey of the buildings and to prepare a conservation plan for the precinct. These initial tasks identified essential structural strengthening works that take the form of external buttresses and are now in place. 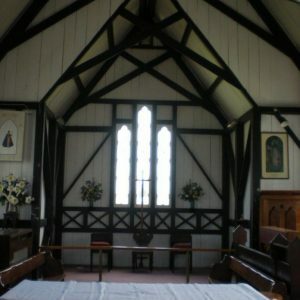 It also identified an opportunity for a new entrance to better reveal the original historic built fabric of the church.